Marvel has some exciting news for us coming from the NYCC 2014. Guardians of the Galaxy Animated Series is in production and will be out in 2015! We even got our hands on the test footage which was displayed by Marvel at New York’s Comic Con. 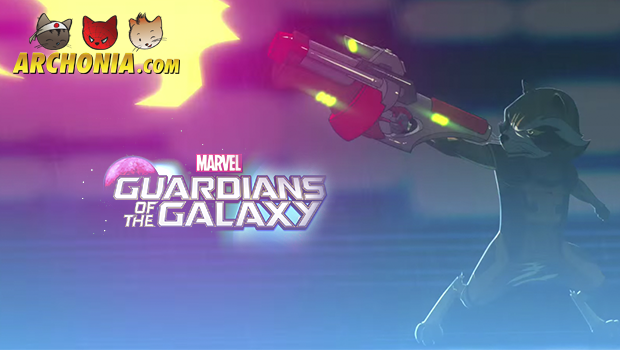 The trailer shows us a sneak peek into the wonderful animated version of Guardians of the Galaxy. In less than a minute it takes us through a neon-futuristic looking city with everybody’s favorite raccoon Rocket jumping and falling through the futuristic skyscrapers. In true Rocket-style he grabs his big gun and blasts his enemy. Later on in the trailer we see Peter Quill bringing the classic Star-Lord attitude, and dissing Rocket’s weapon. To give you an extra idea of what the Guardians of the Galaxy animation style will be like (and how the other main characters will look), check out this poster that was revealed by Entertainment Weekly. 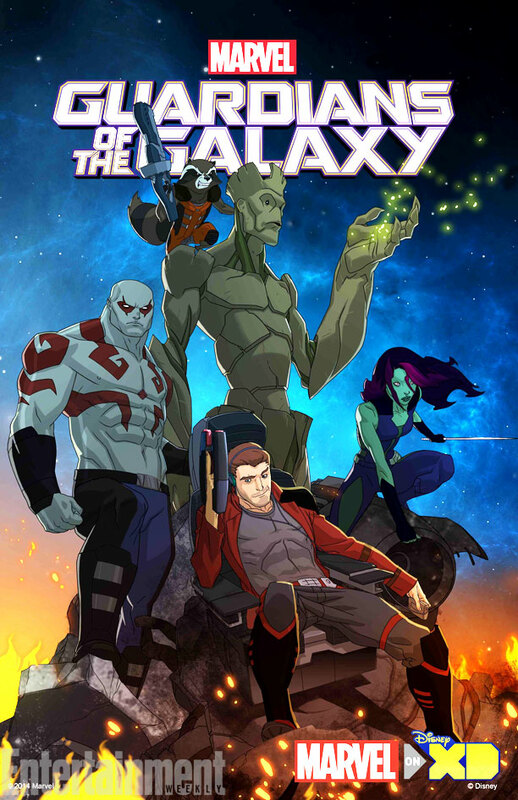 We’re very excited for the new animated series and can’t wait to see the Guardians of the Galaxy and their new adventures.